More Channels. More Power. Simple Setup. Zero Latency. No Aggregate Devices Required. Every Metric Halo 3d Device includes Metric Halo’s custom Multicore-Audio Network-on-a-Chip technology which is a unique hybrid of custom FPGA processors and programmable floating point DSP processing. 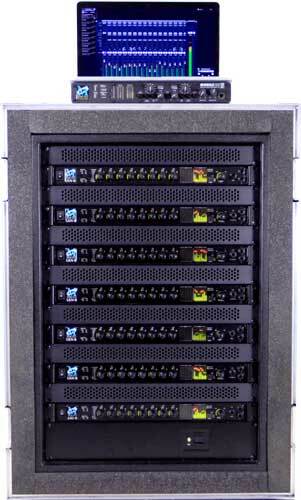 The 3d Core combines hardware MH Link packet processors, Digital Audio I/O processors, dedicated hardware for Mixing, Routing, and Metering along with programmable DSP to form a flexible, programmable Audio Network System. MH Console uses the 3d Core in each unit and the network of MH Link connections to automatically aggregate all the resources of your Metric Halo 3d hardware units into one unified device. Unlike many competitive products, 3d does not require a central unit in order to aggregate. This means that you can scale your system one box at a time without having to make a big investment up front. 3d is designed to balance DSP power with I/O capabilities. As you add more Metric Halo I/O, your DSP power increases proportionally. With 3d you can simply connect a second unit to double the performance and each additional MH Linked unit increases the overall processing power of the system. With 3d, all I/Os, mix busses, DSPs and processing engines are first-class citizens. Unlike other products where low-latency routing can only be done within a given unit, MH Link supports routing from any resource on any box to any resource on any other box with only 3 samples total latency. Adding more boxes to your system adds more I/O channels to the mixer (both input and output). Need another headphone output? Add a box. Need more mic inputs? Add a box. All inputs are available to all busses and all busses can be sent to any and all of physically connected boxes and their the outputs across the system. Unified Mixer — The new MH Mixer breaks boundaries. 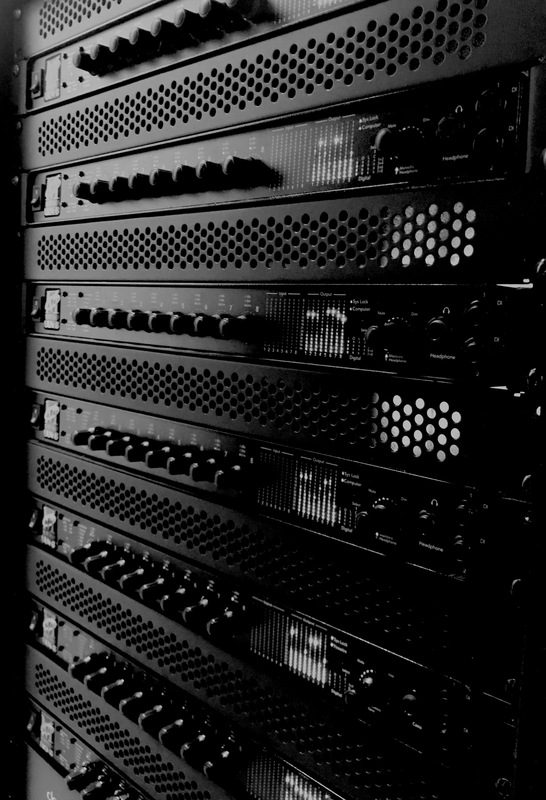 It unites all channels and busses of the physically connected units at mix level across devices. You decide where the signal goes and MH Console takes care of the routing for you. Unified Clocking — All connected devices obey your selected master, no matter which sample rate is selected from 44.1 to 192 kHz. If you select external clock, all units automatically track the external clock with no user intervention. MH Link controls the synchronization precisely across all MH Linked devices. Internal clock provides sample rate accuracy of better than 1.5 PPM and barely measurable drift. Each unit contains an agile digital PLL to distribute system clock with ultra-low jitter and fast automatic lock to any sample rate. Unified Driver — Your DAW sees only one device connected to the computer; all device I/O is aggregated in the hardware. The dreaded “Aggregate Device” will quickly disappear into the depths of your memory - forever! Unified System — Metric Halo’s 3d technology enables you to focus on the tasks that are most critical to you (making great music) while hiding the complex routing required to make your music a reality. The system magically scales across your hardware while presenting a single comprehensive UI to control it all — something nobody has been able to pull off before 3d.